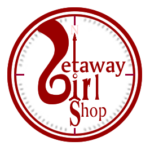 Getaway Girl Shop - Find gifts for Girls Weekend, Girlfriend Getaways and Girls Night Out! » I'll Drink to That! A Circle of Friends Makes Life Infinitely More Enjoyable! Getaway Girl Shop > I'll Drink to That! I'll Drink To That! Square Car Magnet 3"